This year marks 25 years since the opening of Bicentennial Park. Up until 1978 rubbish was still being tipped in the area until concerns were expressed about the importance of this wetland area as a bird habitat. In 1979 a study undertaken by Concord Council and Macquarie University recommended the creation of the new park. 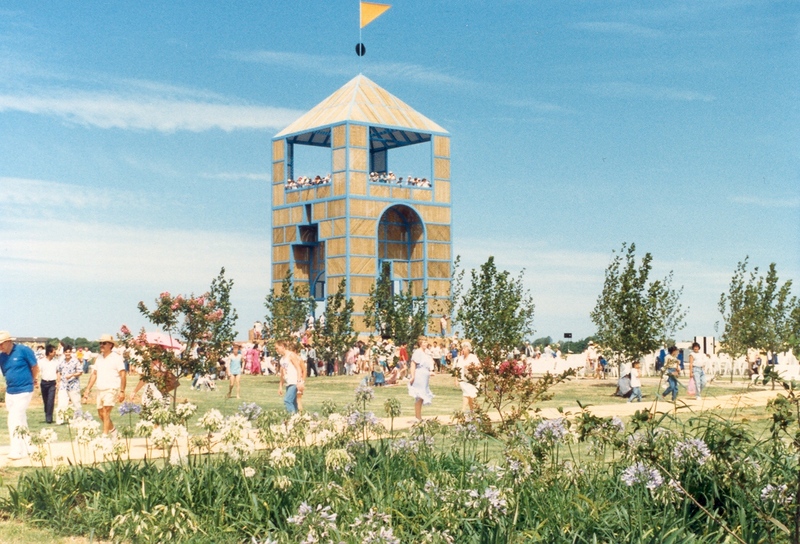 Work on the park proceeded through the 1980s with Bicentennial Park opening on the 1 January 1988. There will be a range of activities throughout 2013 to celebrate 25 years of Bicentennial Park. This Australia Day special activities at Bicentennial Park include people coming together to form a giant ’25’. The photograph above from Canada Bay Connections was taken on the opening day in 1988. Another view is posted on flickr. Abbotsford House was built in 1877-78 for Sir Arthur Renwick (1837-1908) at a cost of £11,000. Renwick was born in Scotland and emigrated to Australia with his parents in 1841. He was a medical practitioner and businessman who served as a member of the NSW Parliament and was the first President of the NSW Medical Board. The house was named after Abbotsford in Scotland, the home of author Sir Walter Scott. 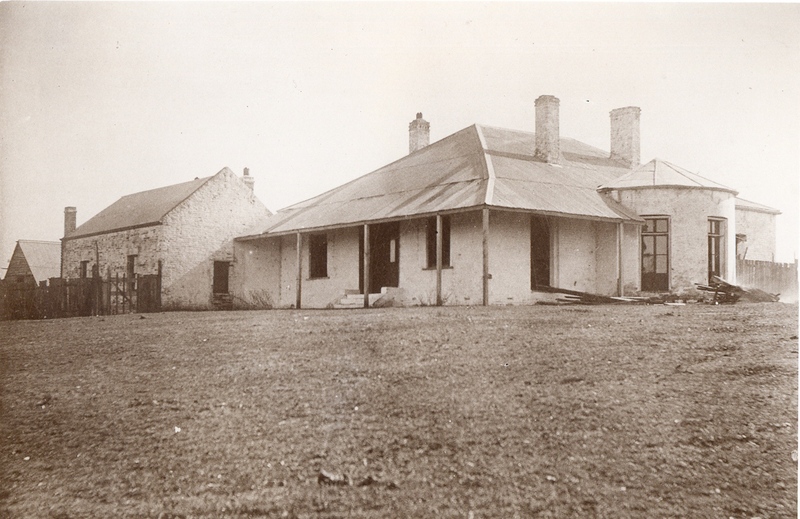 In turn Abbotsford House gave the suburb of Abbotsford its name. Montrose, Rokeby and Marmion Roads in Abbotsford are named after works by Sir Walter Scott. In 1904 Renwick suffered heavy financial losses and he was forced to sell his property, which was subdivided and sold by auction in 1905. Peter McIntosh purchased the property in 1906 and sold it the following year to Albert Edward Grace, one of the founders of Grace Bros. In 1917 the property was sold to Nestlé. The photograph shows Abbotsford House in 1917 when building of the Nestlé factory had just commenced. Nestlé, then known as the Anglo-Swiss Condensed Milk Company, purchased Abbotsford House and its grounds in 1917 to build the ‘largest chocolate factory in the Southern Hemisphere’. Abbotsford House was retained for use as offices, while the factory was constructed on three sides of the house. Nestlé commenced production in 1918. It was regarded as a model factory with excellent staff amenities. Over the next seventy years Nestlé was a major employer in the area and it was not unusual for several generations of the same family to work for the company. 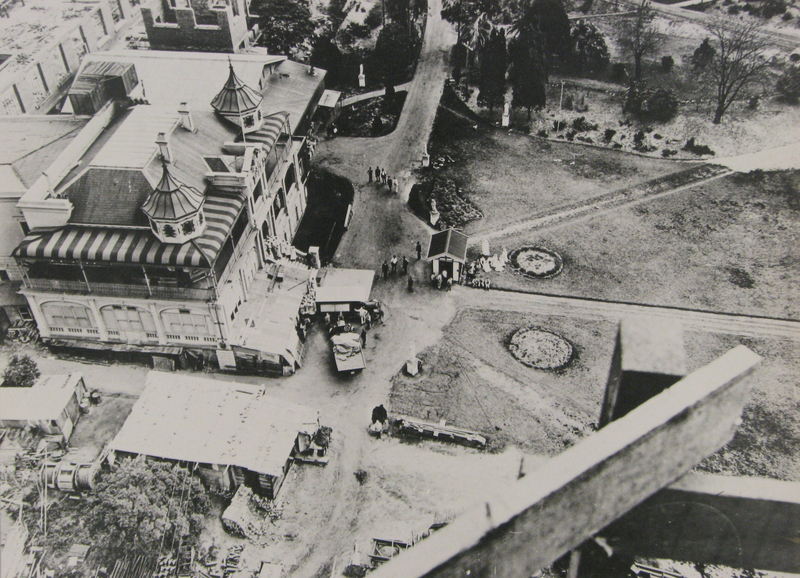 In 1927 the grounds and foreshore of the Nestlé site were used in the filming of For the Term of His Natural Life. During World War II the factory packed supply rations for soldiers on the Kokoda Track. Following the closure of the factory on 18 December 1991 the site was redeveloped for medium density housing. Abbotsford House was preserved and once again became a private home. 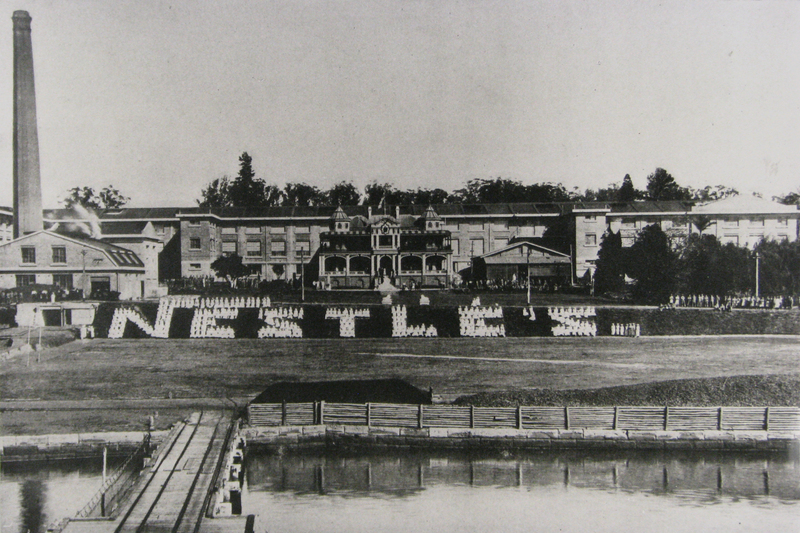 In the photograph, the word Nestlé’s is spelt out by the factory workers standing in formation. The Nestlé company prided itself in providing social and sporting activities for their employees. There were cricket, baseball, basketball, bowling and physical culture teams. 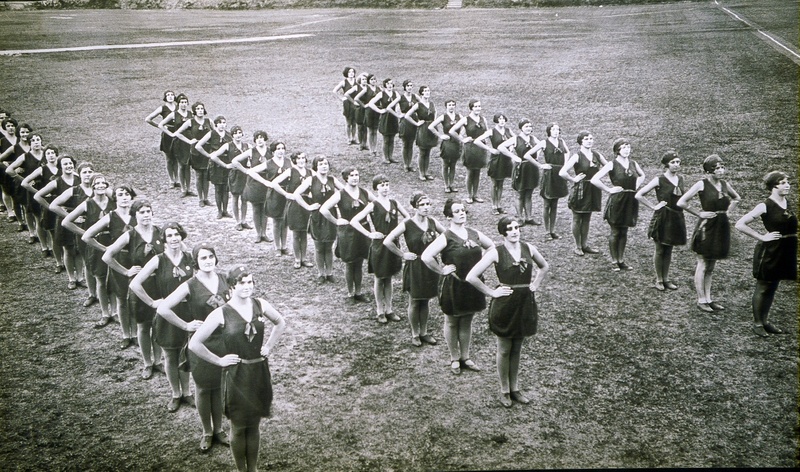 The photographs above shows the Nestlé Ladies’ Physical Culture group in action in 1925. It is one of many photographs from Canada Bay Connections used by Joanne Saad in the creation of her mural I remember in Fred Kelly Place. Fairlight is one of many early homes in the Canada Bay area which are now largely forgotten. The history of Fairlight is somewhat sketchy but it was built about 1840. In 1843 it was offered at moderate rent in The Sydney Morning Herald, as the ‘late residence of F. Kemble Esq., consisting of a family mansion, with coach house, stabling &c, &c, together with twenty-nine acres [11.7 hectares] of cleared and cultivated garden land – and four assigned servants’. Later residents included Captain William Willson and William Salmon Deloitte (1796-1870), shipping master and merchant. One of Deloitte’s sons was Quarton Levitt (known as ‘Q.L.’) who was one of the founders of the Sydney Rowing Club. The house was demolished about 1910 when the estate was first subdivided. It was located in the vicinity of where Fairlight Street, Five Dock is today. Five Dock takes its name from an unusual sandstone formation along the Parramatta River which was thought to resemble small docks. Two of the ‘docks’ were later covered by the construction of the first Gladesville Bridge in 1881. In 1922 there was a campaign, led by local real estate agents, to change the name of Five Dock as it was considered ‘unattractive, misleading and savours of a dock and shipping centre’ and a better name would ‘enhance property values’. One suggestion for a new name was Wareemba, the Aboriginal name for Drummoyne Bay or Drummoyne Peninsula which means where sweet (or fresh) water meets salt water. There was an equally strong campaign to retain the name. A concert to keep the name was organised and a song ‘Five Dock will be there’ was composed for the occasion. At a Council poll on 22 December 1922 the vote was in favour of keeping the name Five Dock. Wareemba was later used as the name for the subdivision between Five Dock and Abbotsford. The photograph shows the remaining rock formation at Howley Park, Drummoyne.